So far this month has not gone down well with me as the phone connection was out for the fortnight. I have a lot of pending work and though I had planned on posting lot of Chinese recipes for this event all the plan went to a toss. Though a bit disappointed with not able to post a lot of entries I was very happy with the entries that I received. The fellow food bloggers really made up for it. 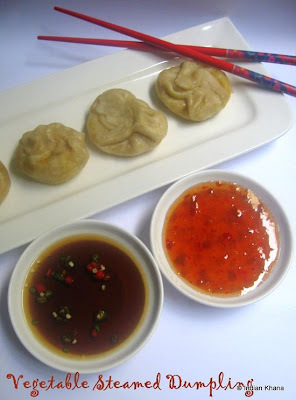 Here is the visual treat of the Chinese Cuisine Round Up. 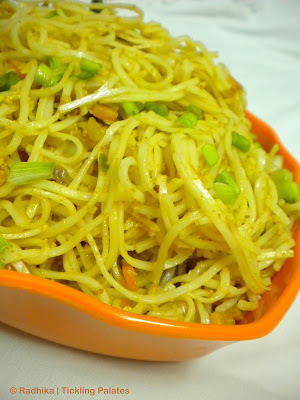 Premalatha Aravindhan of Prema’s Thaligai has sent in slurpy Vegetable Chow Mein. Now comes a steamed fare from priti of Indian Khana in the form of Vegetable Momos. 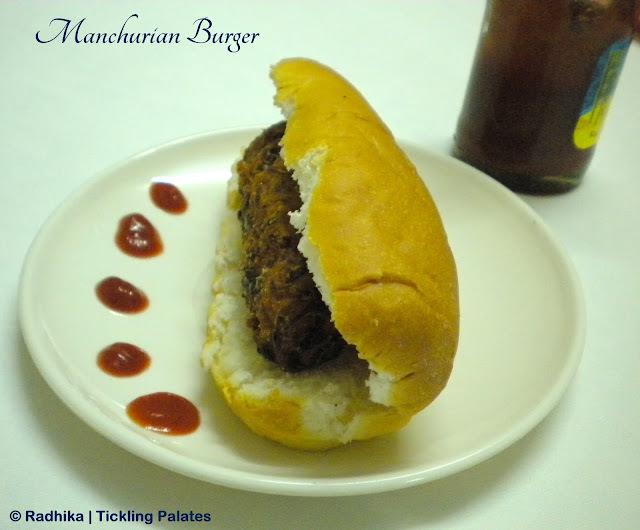 Check out this cute looking Noodles Cutlet sent by Sravani. I’m sure that this will make an ideal evening company for tea or for the kids school snacks box. 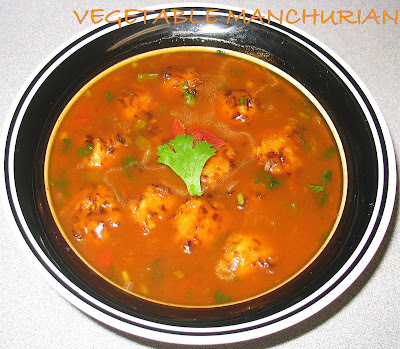 Now comes some Vegetable Manchurian sent in by Rekha. This would be a perfect accompaniment with any fried rice or noodles. Julie of Tasty Treats has sent in these perfect looking Multi grain Butterfly pasta in white sauce, a healthy option. Now comes our good old Idli in a new avatar. Krithi has sent these Chinese Idly Fry, truly chinese inspired I would say. Who wouldn’t love paneer if it made in this way. 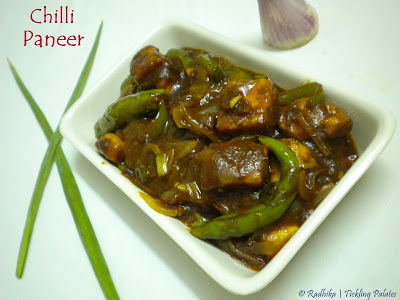 Laxmi has sent Chilli Paneer , looking great with the paneer cubes soaked in the sauce. 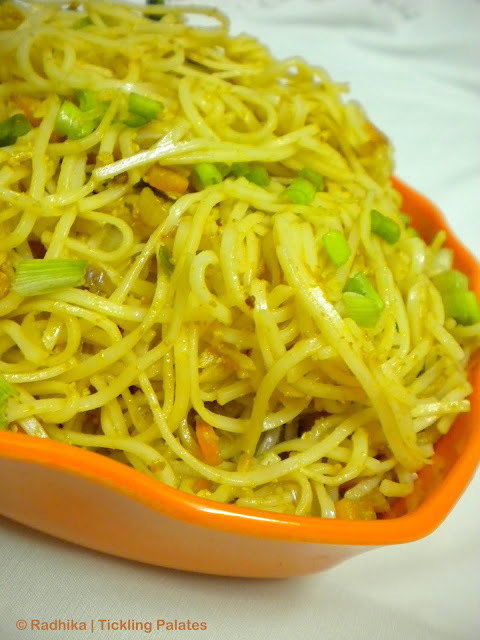 Sudha of Malaysian Delicacies has sent in Stir Fry Egg Noodles. So far I have not been a fan of tofu but after seeing this lovely bowl of Sweet and Sour Tofu sent by Aarthi I am going to definitely try. Isn’t it so colorful? Looking for a healthy spaghetti recipe. here it is. Spaghetti with roasted broccoli and tofu sent in by Vardhini. 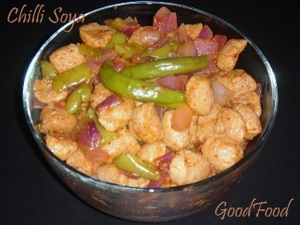 Sobha Shyam has sent in Chilli Soya that looks just awesome. Thank you dear all for participating and also don’t forget to check out the next month series with a revamp to the CBB Series called as Let’s Cook: Break-Time snacks. That is one awesome roundup… loved every dish:) superb.. 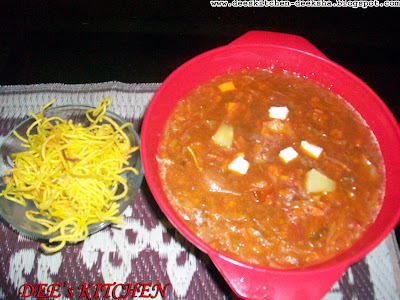 Wonderful roundup, somehow i missed to send my entry..
Great roundup very tempting dishes !!! Lovely roundup radhika… so many lovely items to try.. I am particularly eyeing your egg noodles and few other items..
Lovely roundup…So many new tasty dishes to try.. Check out for a new event at my space. Lovely roundup, Radhika! So many mouthwatering recipes! I love chinese and this seems like a wonderful collection which I can book mark !